During the Christmas season, packages are delivered to homes constantly. Packages from family members out of town, presents being delivered and even neighbors dropping off their baked goods. Unfortunately there are also a lot of people that steal packages from doors. It’s been an increasing problem over the years. SoSmart offers several solutions to this problem. Doorbell Camera: Whenever there is someone at your front door, your phone will notify you. You’ll be able to see and talk to whoever is at your door, even while your away. It will also record video clips and allow you to see who came to your door, in case you missed it. This has helped catch criminals numerous times by providing police with evidence. 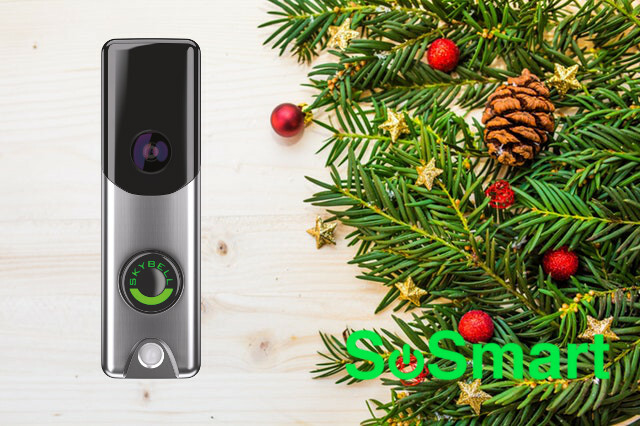 Be in control of your home and your packages with SoSmart, Oklahomas leading brand in home security and smart home technology. If you would like a free quote, don’t hesitate to call and someone from our team will be happy to help you!